For many years, Hanse has been setting trends VPP sail performance at 16 kn true wind – jib and asym. spinnaker towards simplifying sailing and making it faster. 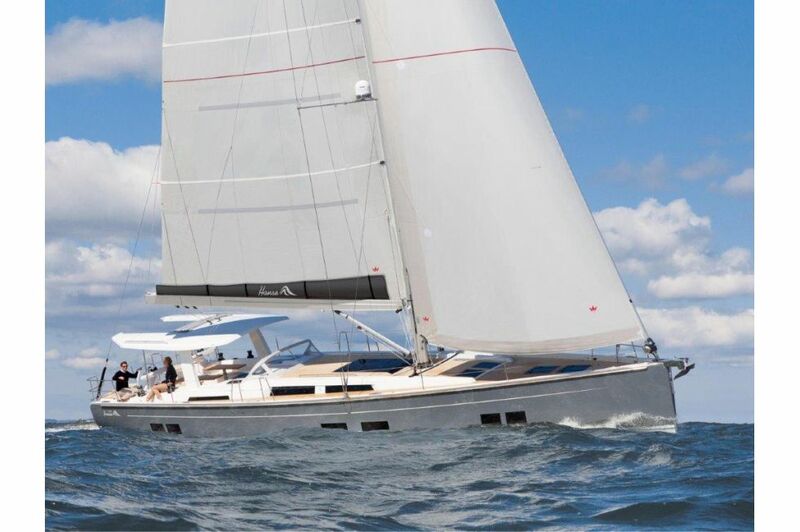 Designed by judel/vrolijk & co, build with a keelstepped mast, high rig, double forestay, fullybattened mainsail for speed and carbon reinforcement, the new Hanse 588 delivers fast cruising without compromise. 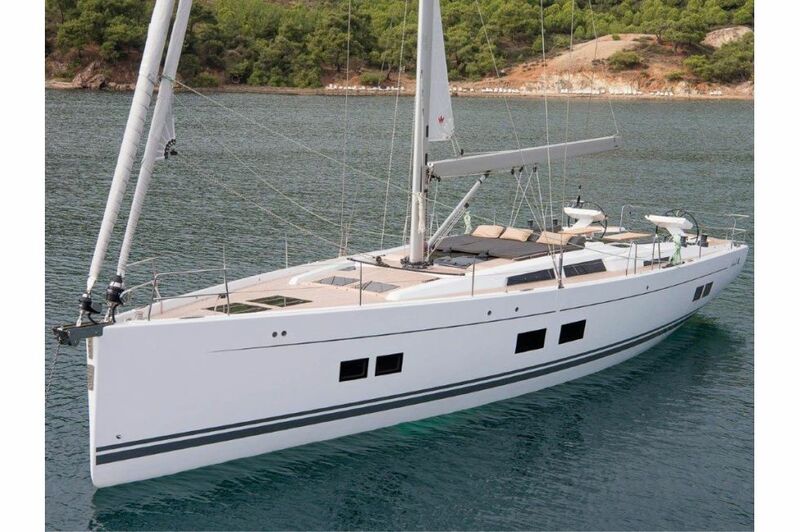 The convincing key data: mast length above wl 25.85 m, total sail area 157.00 m², reacher 115.00 m², gennaker 245.00 m². A design element on the water. 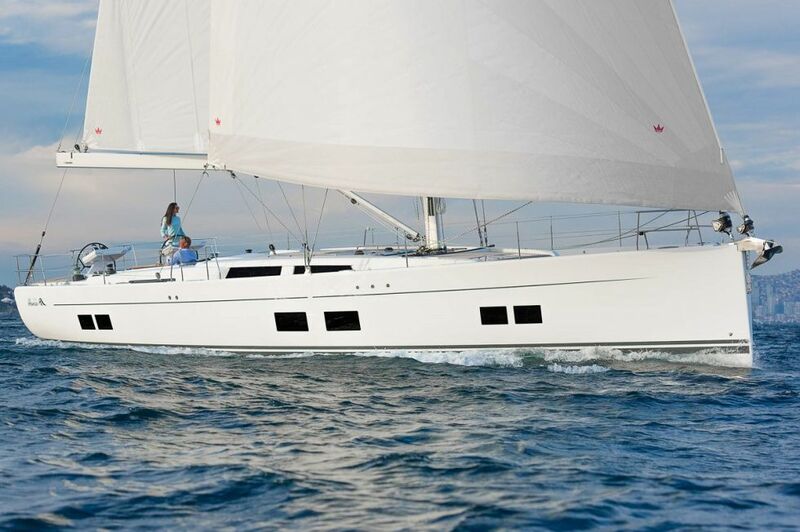 Elegant and distinctive lines characterize the unique design of Hanse. 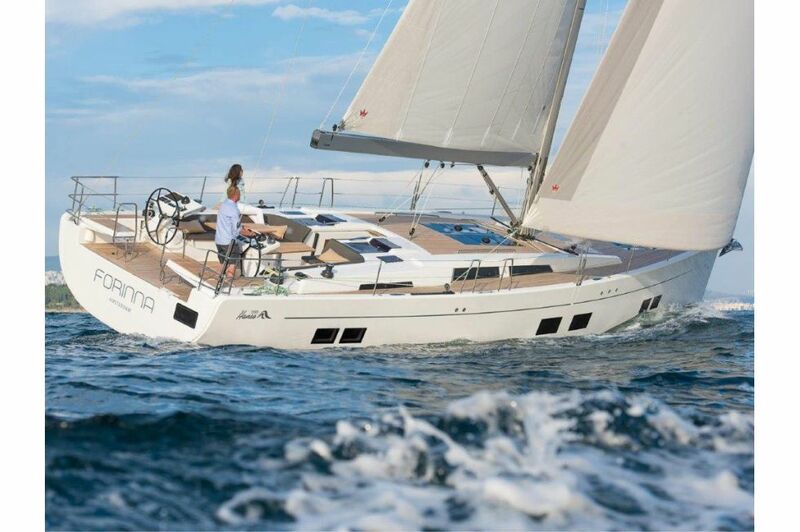 The new Hanse 588 enhances this style by a low, sleek deck, expressive details and thus combines stylish sovereignty with sporty elegance. 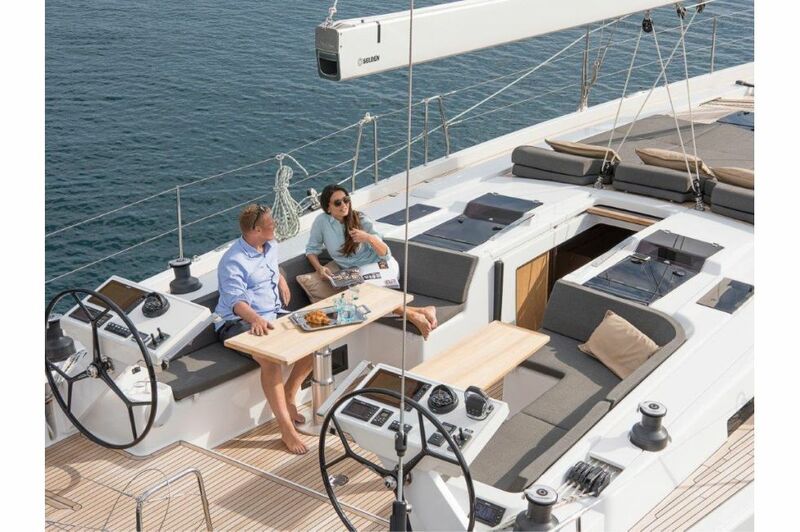 The exclusive interior presents itself with a harmonizing material- and room concept and sets new trends for Hanse yachts. The form glued curves create the feeling of free standing furniture and give an exquisite and stylish interior. 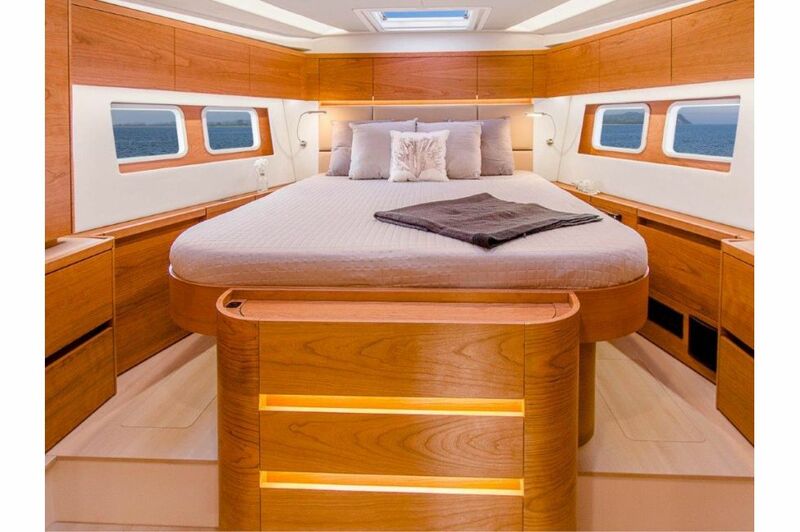 The grain of the hand-crafted wood runs horizontally through the entire yacht and conveys spaciousness and tranquility. The new Silent Master Cabin - Breaking Rules. Setting trends. Silence is a precious good in today's world. It helps us to relax and gives us a moment for ourselves. 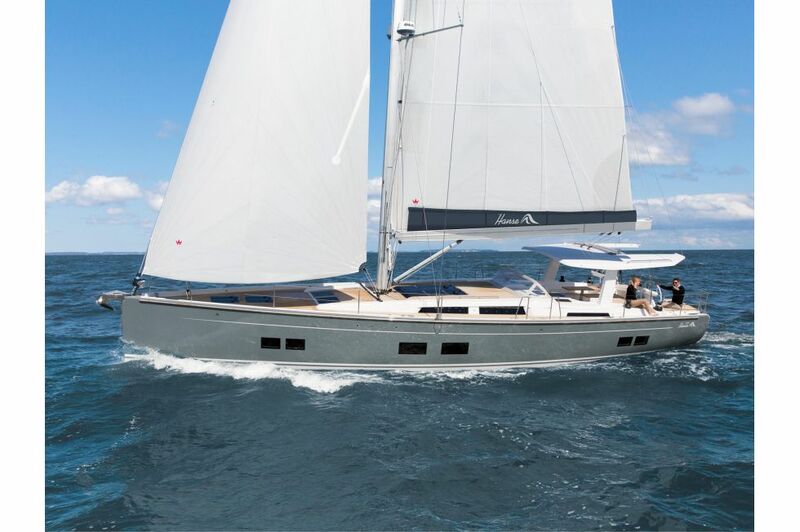 Hanse therefore developed a Silent Master Cabin for the new Hanse 588. 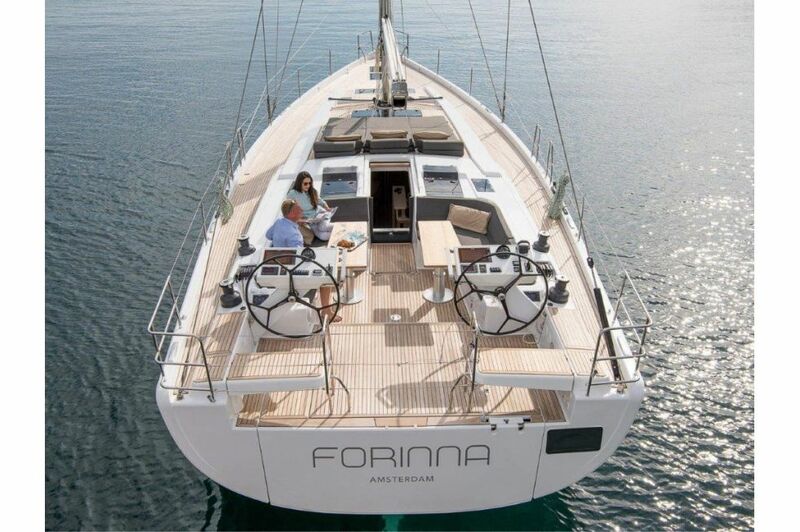 It is build with specially developed acoustic insulation and shields the cabin against sounds from the yacht and the environment. 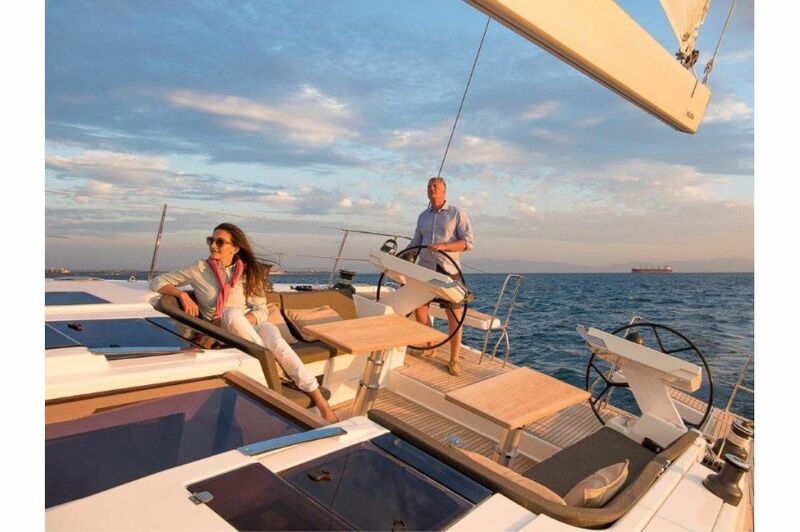 Pumps and other electric devices were relocated to other areas of the yacht to offer full relaxation. This step is unique in series yacht building and transforms the master cabin into an exclusive area of relaxation and recreation. 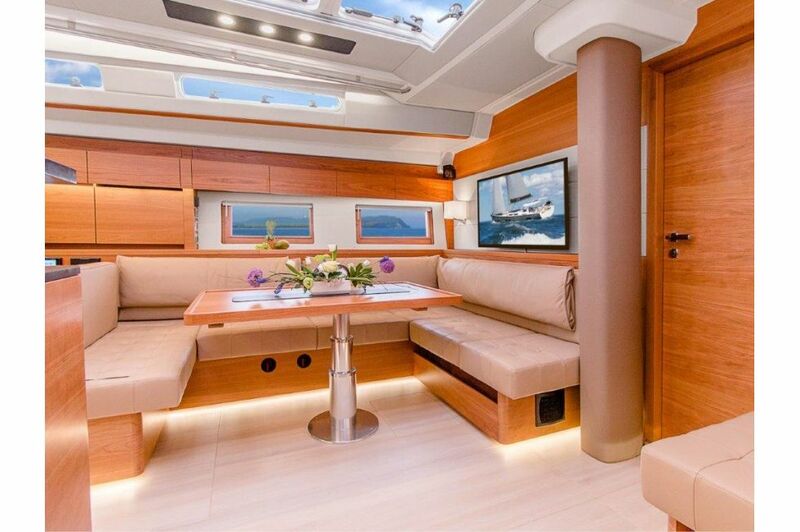 The saloon of the new Hanse 588 is the main living area on the yacht. Here, friends and family come together to cook and enjoy life with a glass of wine. The kitchen island, which can also be used as a practical cocktail bar, is the center stage. Alternatively, a nautical L-Pantry can be selected. The comfortable lounge area can accommodate many guests and offers two large opposing U-couches. Unique is the headroom. With 2.15 m, it sets new standards in this class. Much light is provided by an almost 3 m² big Skylight, which consists of six openable windows. 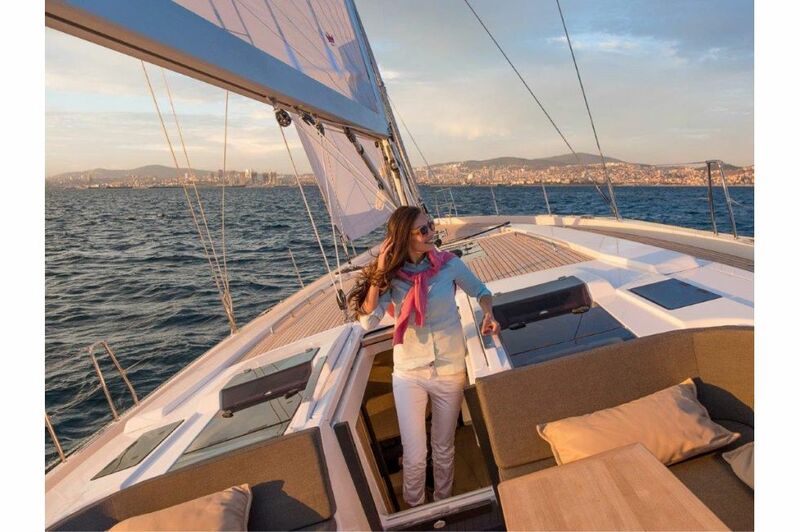 A perfect sea view is offered by six hull windows on each side of the yacht, that are specially positioned at the seating areas. The retractable LED flat screen TV on the main bulkhead completes the saloon. A sailing yacht on the cutting edge of technology. 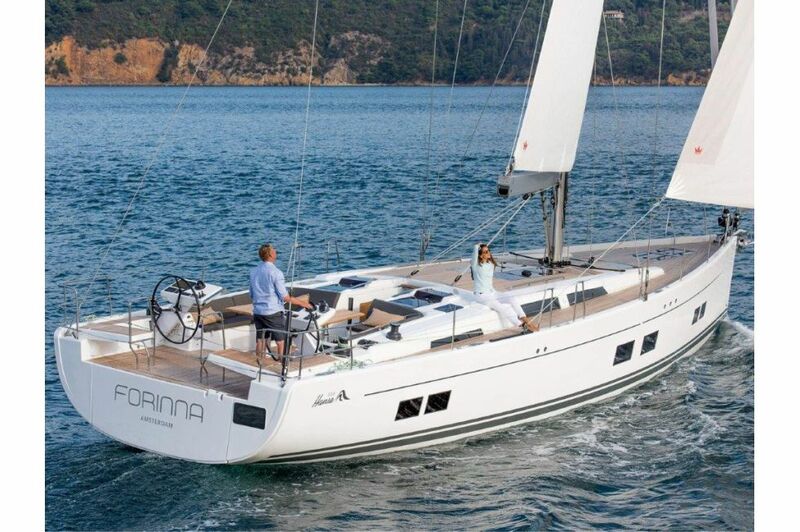 Of course, the new Hanse 588 is primarily a sailing yacht and is on the cutting edge of technology. It was drawn by judel/ vrolijk & co and impresses with pure lines and a sporty character. 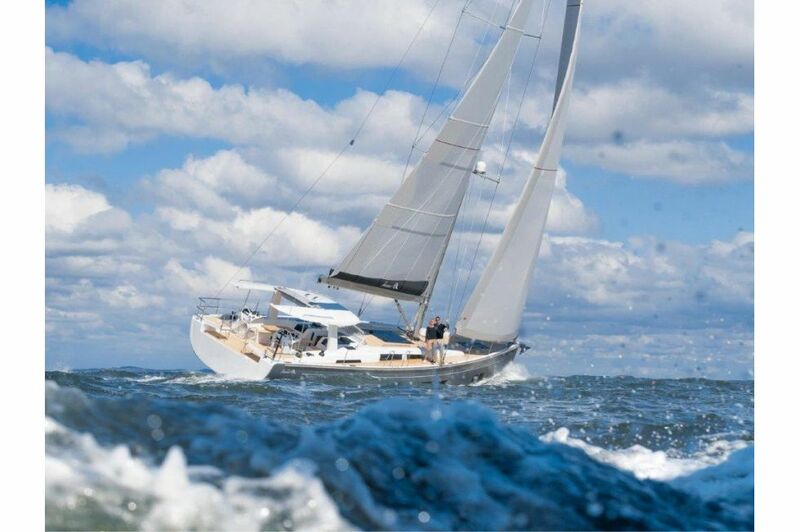 A second forestay provides the perfect combination of self-tacking jib for up-wind courses and reacher for long distance sailing. Through hydraulic and electric support every maneuver can be easily carried out by one person. The large optional T-top in the cockpit protects against the sun and rain and comes with an integrated light- and sound system. 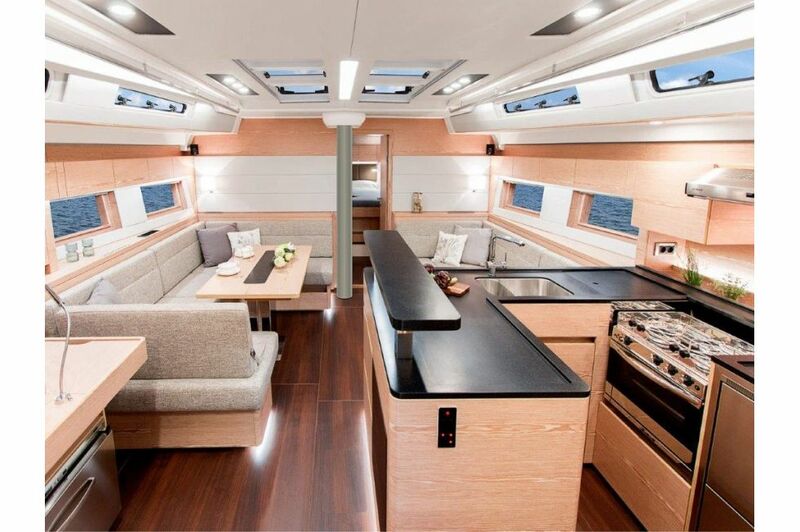 Moreover, the vast cockpit offers an optional BBQ bar with grill, sink and freezer. A wide staircase leads down to the bathing platform, which is powered by hydraulic hinges. The large tender garage can accommodate a Williams Jet Tender 280 and is equipped with a launch system.